John Sharp reflects on The Boys’ Brigade marking 135 years of shaping young lives in Scotland. Next week we will celebrate 135 years of The Boys’ Brigade with a thanksgiving service at St Giles Cathedral, Edinburgh on 4th October. It is important that we remember the history and heritage we have as an organisation. We can be proud that with such a visionary founder in Sir William Alexander Smith that we were the first uniformed youth organisation in the world. Smith was 29 years old when he started the Brigade in Glasgow, and of course we should take a great deal of pride in Scotlandthat the BB has gone out to different parts of the globe, and that today it is active in 68 countries around the world. As we remember our rich history, it also is a good time to remind ourselves of the purpose for which we were established and why we are here today - what our organisational vision and mission actually are and what we are trying to achieve in everything we do. Our vision is that children and young people experience “life to the full” (John 10 v10). 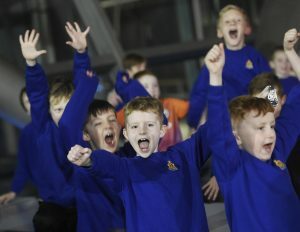 For The Boys’ Brigade every year is a Year of Young People – it must be, if we are to live our vision. Every year is a year when we have the privilege of working with children and young people - providing them with the space and the opportunity to learn, grow and discover. I was delighted that it was young people who were taking the lead at our recent UK & ROI Brigade Conference in Edinburgh. Throughout the conference weekend, young people were leading the meeting, leading worship, leading the workshops and leading our entertainment – a powerful affirmation of what we believe as well as providing a great experience for our young leaders, and all those involved in the event. As mark the 135th year of the Brigade it is vital that we continue to follow in Smith’s footsteps and stay vision-focused, continually asking ourselves whether what we are doing and how we are doing it is serving Christ and the children and young people who we walk alongside. 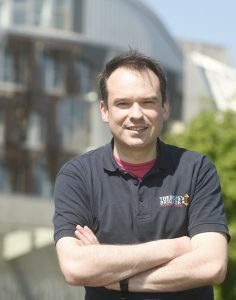 John Sharp is Director for Scotland for The Boys’ Brigade. How can you help us mark BB135?